Simple and clear Bosch Intuvia display for Bosch Active motors. Bosch Intuvia Active Display displays battery status information and current engine power that is directly proportional to power consumption. Thanks to this, you can monitor the power consumption of each level of assistance, driving style and gears, and optimize your driving style to achieve the longest mileage. For efficient transmission choices, you can also use the reassignment recommendation to heavier or lighter gears that are displayed on the display. 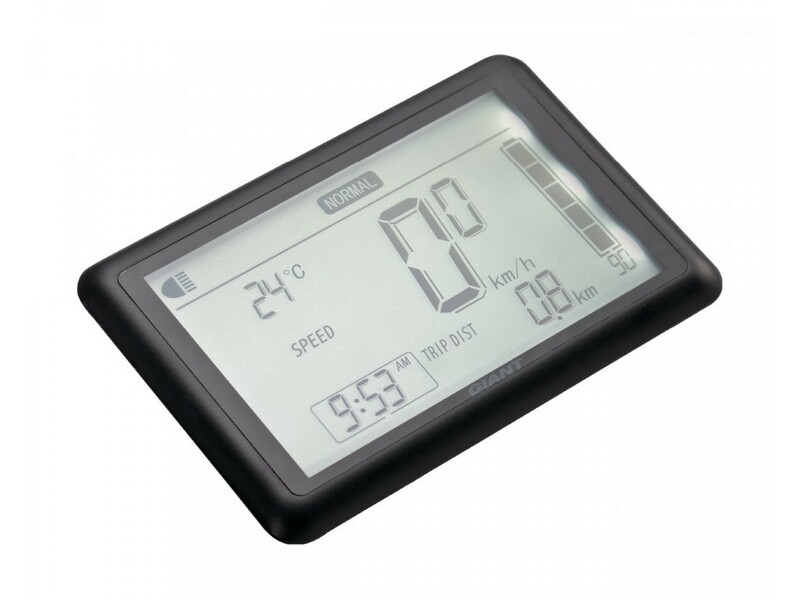 The display also offers the functions of a computer, such as instantaneous, maximum and average speed, total and daily driving distance, driving time and hours. It also has a USB socket to charge mobile devices (phone, navigation, etc.). Large backlit LCD display allows for better and more secure monitoring of all values. Displaying current driving mode (OFF, ECO, TOUR, SPORT, TURBO). Graphical display of current engine power. Graphically, column next to driving mode. Display the expected run-out when driving mode is on. The system evaluates the current ride every 2.5 km and accordingly calculates the expected run-out to discharge the battery.